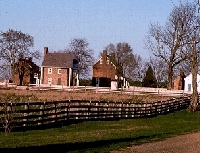 TRAVEL.org - Virginia - Find hotels in Virginia, along with activities and other cultural information. State of Virginia Tourism Information - Government website. Avalon Travel Company -Travel portal with on-line reservations and content rich lists of resources and tools. Best Western Fairfax Hotel - Find a charming hotel in Fairfax, Virginia perfect for family getaways and corporate events. The Best Western Fairfax, Virginia offers hotel accommodations just 12 miles from sightseeing in Washington, DC. Comfort Inn Ballston - Our hotel is located right off 66 in the heart of Ballston and 3 miles from Washington DC. Guests receive free breakfast and Wi-fi with their stay. Hyatt Regency Reston - The largest, most luxurious of all hotels in the Dulles Corridor, Hyatt Regency Reston is ideal for business or vacation travelers in Virginia and the DC area. Ramada Wytheville - Hotel Wytheville with a full service pet friendly hotel in Wytheville, VA , offers meeting rooms, restaurant, bar, free Internet, free hot breakfast and tour bus parking. Best Western Plus Inn at Valley View Roanoke - Our hotel near Roanoke Regional Airport is ideal for business or pleasure. Located in an ideal destination with comfortable rooms, free breakfast, pool, airport shuttle, meeting rooms, and WiFi. Courtyard Alexandria Pentagon South - Located minutes from historic Old Town Alexandria, Ronald Reagan National Airport (DCA) and only moments away from downtown Washington, D.C. Our hotels amenities help make any stay enjoyable with complimentary high-speed Internet access to stay in touch and a shuttle service to Reagan National Airport. Holiday Inn & Suites North Beach - Virginia Beach, Virginia hotel featuring oceanfront accommodations and amenities. The Holiday Inn & Suites North Beach offers a family-friendly resort experience. Residence Inn Tysons Corner - Our newly renovated extended-stay hotel is nestled in a quiet residential environment offering 12 separate villa-style buildings with the most spacious rooms in the Washington, D.C. area that surround an outdoor swimming pool and a lush garden-style courtyard. Fairfield Inn & Suites Harrisonburg - Located two miles from James Madison University in the Shenandoah Valley, our hotel offers spacious suites featuring separate living areas and free high-speed Internet. After a great night's rest on luxurious bedding, enjoy a complimentary hot continental breakfast and a workout in our exercise room or a swim in our indoor pool. Comfort Inn Arlington - Our Arlington, VA hotel near the Ballston Metro station offers comfortable guestrooms at a wonderful value. Our courteous staff is knowledgeable about the Arlington, VA and Washington, DC area, and is happy to help with any of our guests' needs. Kings Mill Resort - Nestled on the banks of the historic James River lies a family destination like no other-Kingsmill Resort. SpringHill Suites Alexandria - is a stylish and smartly designed all suite hotel ready to energize you! Situated off I-95, this Alexandria, VA hotel is just 10 minutes from historic Old town Alexandria, and 25 minutes from Fort Belvoir. Crystal City Marriott Hotel at Reagan National Airport - The newly renovated Crystal City Marriott hotel in Arlington, VA, is only a short Metro ride away from Washington DC. It features luxurious guest rooms & elegant event space, and is located steps from hip restaurants and trendy shops. Comfort Inn & Suites, Pentagon City - Need affordable hotels in the DC and Arlington Virginia area? Our Arlington VA hotel offers 120 spacious guest rooms, free breakfast and wireless Internet and free shuttle service to Ronald Reagan Washington National Airport, the Pentagon and the DC Metro. Best Western Mount Vernon - an Alexandria, VA hotel offering charming accommodations and friendly service catering to both leisure and executive travelers. Courtyard Fredericksburg Historic District - Discover one of the most luxurious, conveniently located Fredericksburg, VA hotels, with spacious guest rooms, on-site dining & 1,800 sq ft of flexible meeting space. Cambria Suites Roanoke - Is an all-suite hotel located near the Blue Ridge Parkway. Amenities include microwave, refrigerator and complimentary WIFI. Hilton Garden Inn's Downtown Richmond hotel - is in the heart of historic downtown Richmond, across from the Greater Richmond Convention Center, two blocks from the Richmond Coliseum, and next to Richmond CenterStage. Fairview Park Marriott - Rediscover the Fairview Park Marriott hotel in Falls Church, VA. Our Northern Virginia hotel has just completed a renovation transforming the lobby and restaurant space in this beautiful hotel near premium shopping at Tysons Corner Center & Tysons Galleria. Crystal Gateway Marriott - is a newly renovated, towering presence in Crystal City, VA. During your stay you'll be close to the best museums, monuments and attractions. The Crystal Gateway Marriott is located minutes from downtown Washington, D.C. and less than 1 mile from Reagan National Airport. Key Bridge Marriott - Discover one of the premier Georgetown hotels in Washington, DC, the Key Bridge Marriott. Featuring luxurious accommodations & ample meeting space, we lead the way among Arlington, VA and Georgetown, DC hotels. Renaissance Arlington Capital View Hotel - Design and technology converge at the Renaissance Arlington Capital View hotel near Reagan National Airport (DCA). With 300 luxurious guest rooms, modern cuisine & 17,354 sq ft of innovative event space outfitted with stylish amenities designed to enhance your stay. Residence Inn Arlington Capital View - Our hotel suites in Arlington, VA combine all of the comforts of home, a modern Italian restaurant, and a health club just steps from your door, along with a passion for service that makes every guest feel welcome. SpringHill Suites Alexandria Tech Center - Experience one of the few all-suite hotels in Old Town Alexandria, VA - SpringHill Suites. Ideally situated, our hotel's Old Town Alexandria, VA location is within close proximity to many shops & restaurants. TownePlace Suites Winchester - Located in the heart of Shenandoah Valley, our hotel's Winchester, VA location is just 3 miles from historic downtown. With full kitchens, and living & sleeping areas, our Winchester, VA hotel's suites are ideal for families & business travelers. Best Western Springfield - Raise the bar on your next Northern Virginia business trip or family vacation by reserving a spacious guestroom at the conveniently-located Best Western Springfield, near Washington, DC featuring complimentary breakfast, outdoor pool, and free Wi-Fi. SpringHill Suites Potomac Mills Woodbridge Hotel -Welcome to SpringHill Suites by Marriott, where you will have the space you need to be productive, comfortable or simply relax. Our stylish and smartly designed suites are 25% larger than comparably priced hotel rooms, giving you space to achieve your goals. The Ritz-Carlton, Pentagon City -Located in one of the area's most prestigious neighborhoods, The Ritz-Carlton, Pentagon City is an exceptional luxury hotel in Washington, D.C. Plan your stay at RitzCarlton.com and experience one of the finest Pentagon City, Virginia, luxury hotels. The Ritz-Carlton, Tysons Corner hotel - Experience the elegance of The Ritz-Carlton, Tysons Corner hotel � the only luxury hotel in Northern Virginia. With award-winning dining and an indulgent day spa, this D.C. metro hotel offers exceptional accommodations in an ideal location. Marriott's Manor Club at Ford's Colony - Marriott's Manor Club at Ford's Colony is an MVCI resort. Accommodations consist of 1- and 2-bedroom/2-bath villas and deluxe guestrooms with two outdoor seasonal pools, exercise facilities, indoor pool, and other amenities. Pentagon Hotel - Best Western Pentagon-Reagan Airport is a newly renovated, full-service Arlington, Virginia hotel featuring spacious rooms and suites, meeting space, a business center, a restaurant, and shuttle service - just minutes from Washington, DC and the Pentagon. Marriott Tysons Corner Hotel - The newly renovated Tysons Corner Marriott hotel is located near Tysons Corner Center and Tysons Galleria within reach of government offices and attractions in Northern Virginia. This hotel with easy access to the Washington Capital Beltway, features spacious guest rooms, sophisticated dining and state-of-the-art event space. Hersha Hotels - Enjoy your vacation and business travels to Hersha Hotels on the US East Coast, featuring unique lodging and exceptional service at contemporary hotels from New England down to Williamsburg, Virginia. Virginia Beach Rental Places - Vacation Rentals - Beach Vacation Homes, Villas, Condos and House Rentals in Virginia Beach, Virginia. Professionally Managed Vacation Rental Accommodations. Washington Suites Alexandria - Washington Suites Alexandria in Virginia, is located just minutes from Washington, DC. Perfect choice for business or leisure travelers with the many choices of Packages to choose from. Marriott Williamsburg Hotel - This full service hotel and conference center in features 45,000 sq. ft of meeting and event space, nearby golf courses, on-site tennis courts, health club, and an indoor/outdoor pool. Richmond Marriott West Hotel in Glen Allen - Discover the Richmond Marriott West ' one of the premier hotels in Glen Allen, VA. Located near office parks and world-class shopping, this luxurious Glen Allen, VA, hotel's accommodations feature spacious guest rooms and stunning event space. Richmond Hotels and Accommodations - Discounted rates on Hotel rooms, Car Rentals, Flights, Vacation Rentals. Discountedhotels.com, your complete travel resource. Return to TRAVEL.org Main Directory Thank you for using the TRAVEL.org travel directory!